Dr Gary Mortimer is an Associate Professor in Marketing and International Business at the QUT Business School. Prior to joining QUT, Dr Mortimer spent over 20 years working with some of Australia’s largest general merchandise and food retailers. He is an active researcher in the areas of food retailing, retail operations and shopping behaviour. 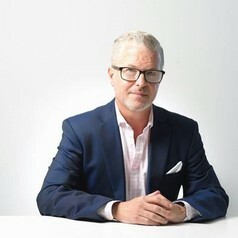 Dr Mortimer was appointed to the Advisory Board of the Institute of Food Products Marketing, Philadelphia (US) in 2012 and sits on the council of the Australian Marketing Institute. Gary is currently examining changes in consumer behaviour towards local food and small producers. Speficically, he is examining the barriers and drivers of purchasing locally grown and produced products. Gary is also exploring consumer ethnocentric tendencies and how to overcome these barriers in order to enter international markets. Outcomes will provide retailers a better understanding of how to respond to consumer changes in domestic and international markets.